We all love to give our dogs a tasty treat and rawhide chews are very popular. 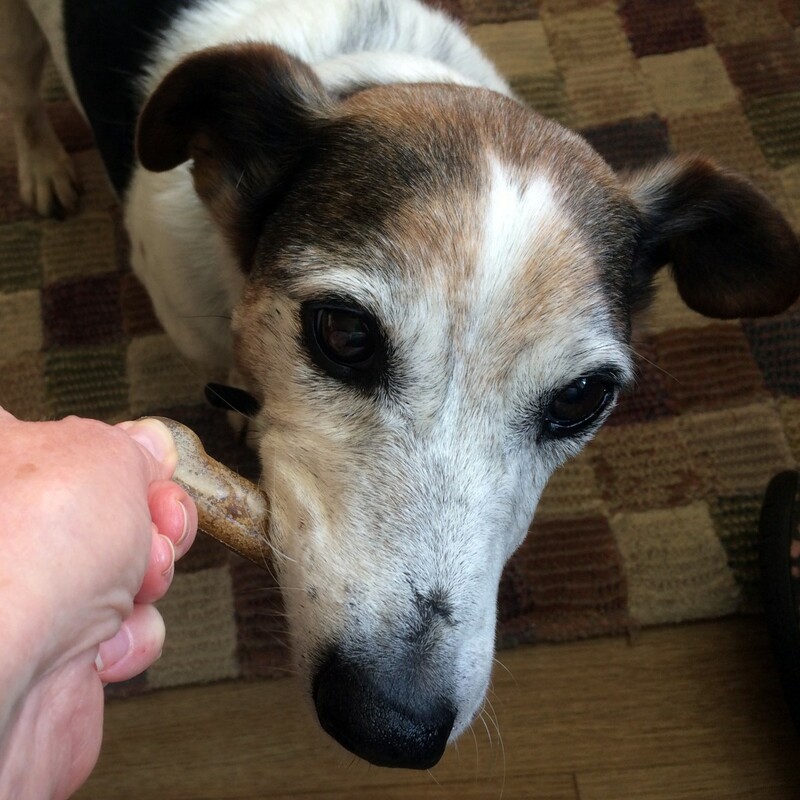 My own little Jack Russell Terrier, Ellie, loves her rawhide chews and they certainly help to keep her teeth nice and clean. In this article, we will be examining the evidence and attempting to answer not only whether rawhide might be bad for dogs, but also whether rawhide is safe for dogs. We will also be looking at an alternative to Hide Chews that you might like to consider once you have read the findings, especially if you have an older dog with worn or sensitive teeth or a dog with sensitive gums. As the name implies, rawhide is the hide, or skin of an animal. The hide is scraped clean of all traces of muscle tissue and fat and the hair is also removed. The hide can come from any animal, but is most usually bovine or equine. The hide is not cooked, but dried out and shaped to form a bone, twist or chew. These treats are available in various sizes and have flavorings added like chicken and beef flavors to make them even more palatable for dogs. It cannot be denied that dogs love to chew and it has been proven that dogs given suitable treats to chew on, have teeth with less plaque and tartar buildup and in general, sweeter smelling breath as a result of less mouth bacteria present. Chewing is also good for dogs because there is no denying the pleasure they get from having a tasty treat to chew on. Giving them something they are allowed to chew, might also pay dividends, protecting your valuables like shoes and furniture from the attentions of a bored dog! There are huge quantities of these rawhide treats consumed in the US and elsewhere in the world, every single day. The number of dogs that have problems as a result, is small by comparison, but the risks should not be ignored and it is possible to minimise these and safeguard the health of your pet as far as possible if this type of treat is on the menu! This is a risk that you can do something about. Keep any treats in a dry, cool, airtight container before use. 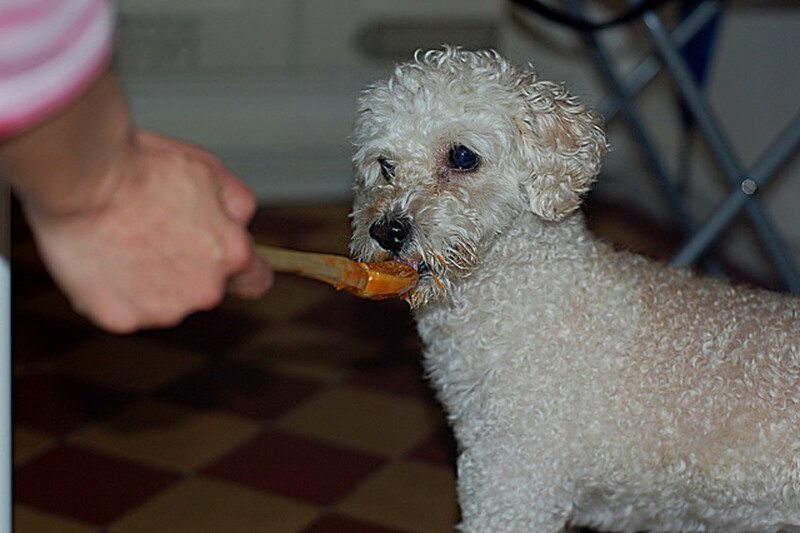 Wash your hands after giving one to your dog and ensure that once the dog tires of chewing the treat that you remove it and put it in the trash. 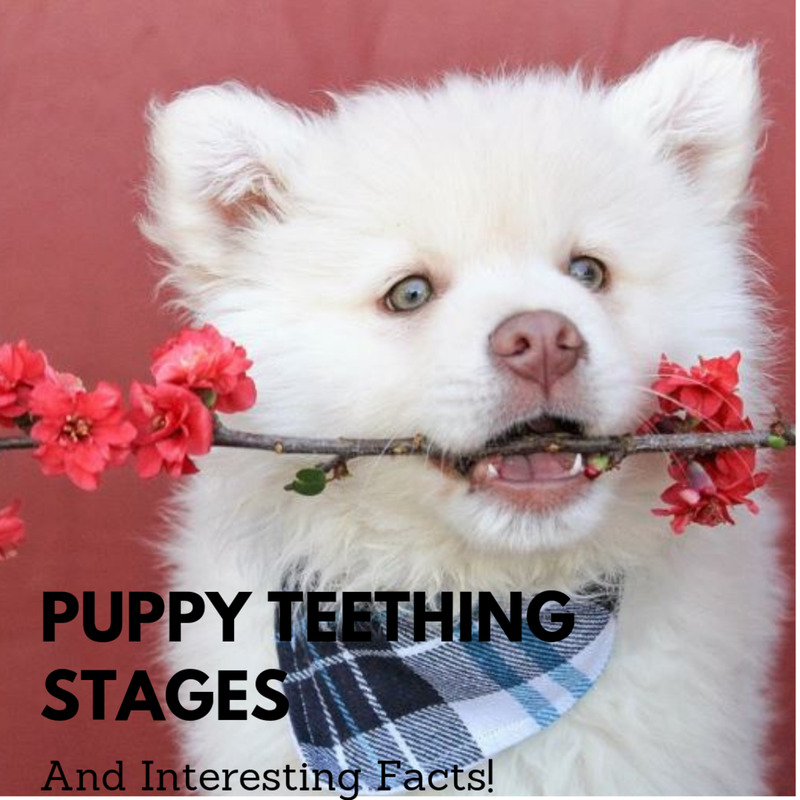 Do not leave it where he can come back to it later or even the next day as once the dog has chewed, moistened and softened the dry surface, it can become a breeding ground for bacteria which could make him - and potentially other members of the family, really sick. 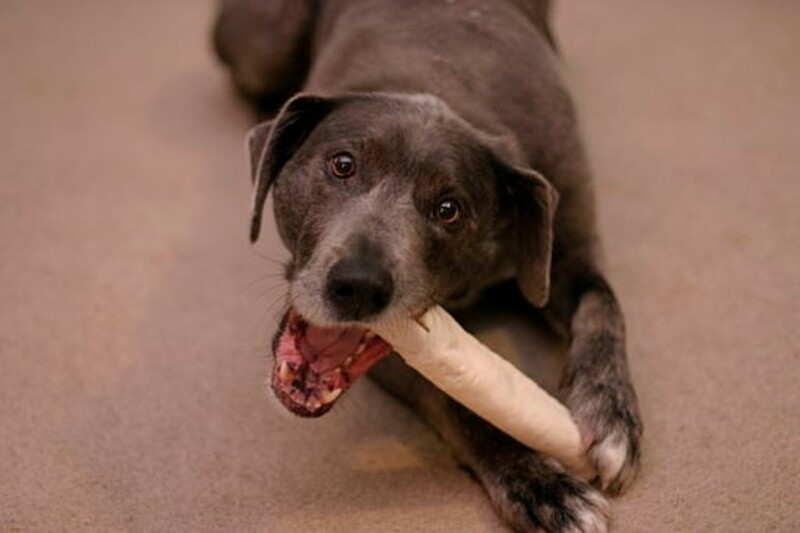 If your dog is reluctant to give up his rawhide bone, offer him an alternative small treat so that you can remove it, or call him for his meal, or a walk and then remove it. Do not let your dog take the bone off and bury it - only to dig it up stinking and green with slime some weeks later. I have been there with one of my dogs - not an experience that either he, or I, would want to repeat! Because of the manufacturing process of rawhide dog chews, chemicals are often used in the liquid to soak the hide so that the hair can more easily be removed. Traces of these chemicals can remain in the finished product and may cause digestive irritation including diarrhoea. In addition some dogs may be allergic to some of the flavorings used and whilst this is not a problem specific to rawhide chews, it is something to bear in mind when choosing any dog treat. Choking is one of the biggest risk associated with rawhide bones for dogs. This most often happens when the dog manages to chew of the end of a twist bone and a good reason to remove the treat from the dog once it starts to look 'chewed'. If the dog does not actually choke on one of these large lumps of hide, it is possible for it to be swallowed and become lodged further down in the digestive system causing a full or partial blockage which, if left untreated could prove fatal. It could also turn a cheap treat into a very expensive and traumatic surgical procedure for your dog. 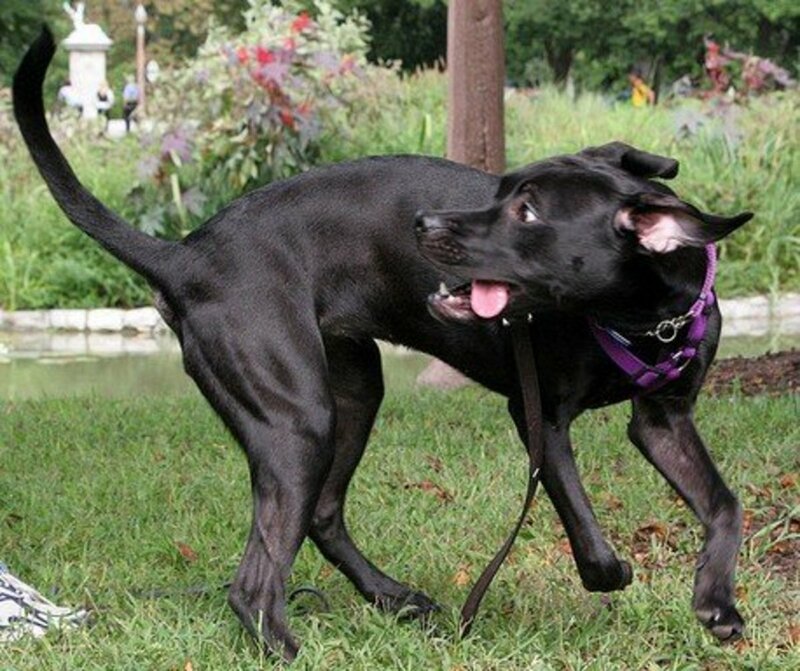 To minimize the risk of choking or swallowing large pieces make sure that your dog is where other pets will not hassle him so that he can enjoy his treat in peace. 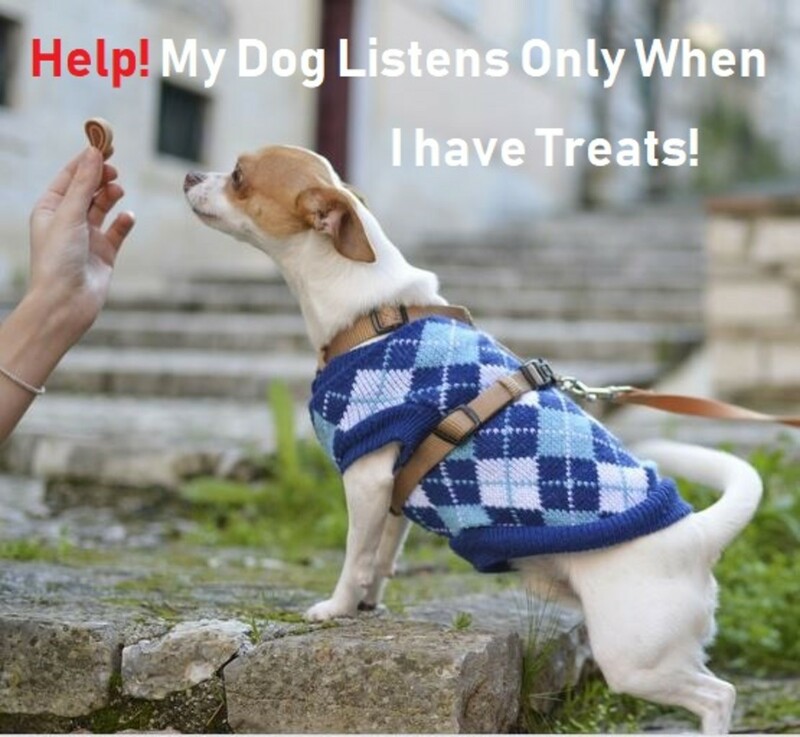 Being disturbed whilst eating a treat is the most likely cause of your pet gulping down a bigger piece than he otherwise would in order to prevent anyone else getting hold of his prize! Signs of being in discomfort - this might be that his tummy feels hard to the touch or he is reluctant to let you touch him there, or he may be restless and not want to lay down. 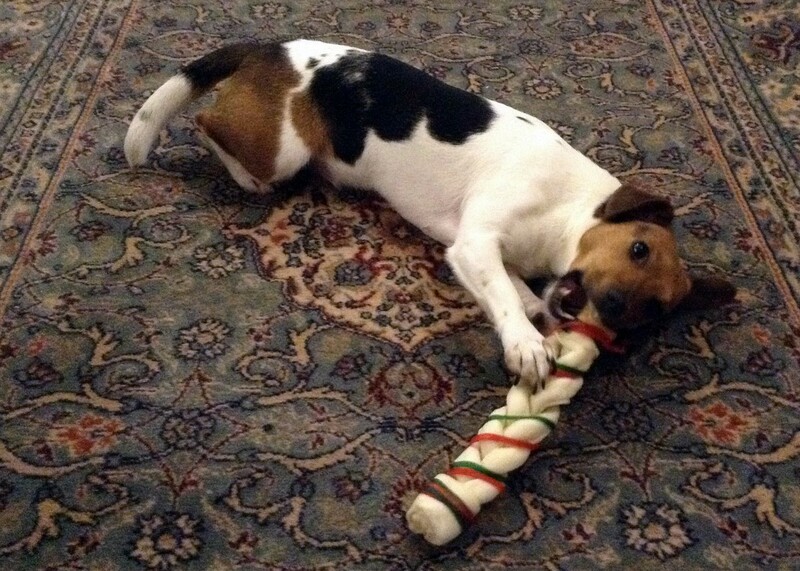 Is your dog a calm chap who likes to settle down with a chew and gently chew away at if for a long while? Or is he a gorger, who has got to get the treat down as quickly as possible and who will try to bite of great chunks in order to do so? If your dog falls into the former category, he might well be safe to eat an appropriately sized rawhide bone or chew for his size and breed. If he is in the latter category, you would do well to find him a safer alternative! The bone shaped treats are safer than the flat sheets and reconstituted, pressed or compressed rawhide treats, where small pieces are pressed together to make a bone or chew, are possibly the safest as they tend to break off in smaller pieces. In the video below, the Vet talks about compressed rawhide as a pretty safe treat. He also talks about some treats which are pretty dangerous and some great, safe alternatives. Well worth a watch - even if only for the handsome Vet! Which are The Safest Dog Rawhide Chews? Look for treats that are naturally colored, not bleached white and choose ones that are naturally dried, without being chemically processed. Look for larger, thicker chews of the compressed type or ones that are tightly rolled pieces of thicker, 'natural' rawhide. Choose a size of treat appropriate for the size of your dog. I am quite happy to give Ellie (our younger dog), hide chews. However, we recently adopted the lovely Thomas, pictured below, from a rescue organisation. 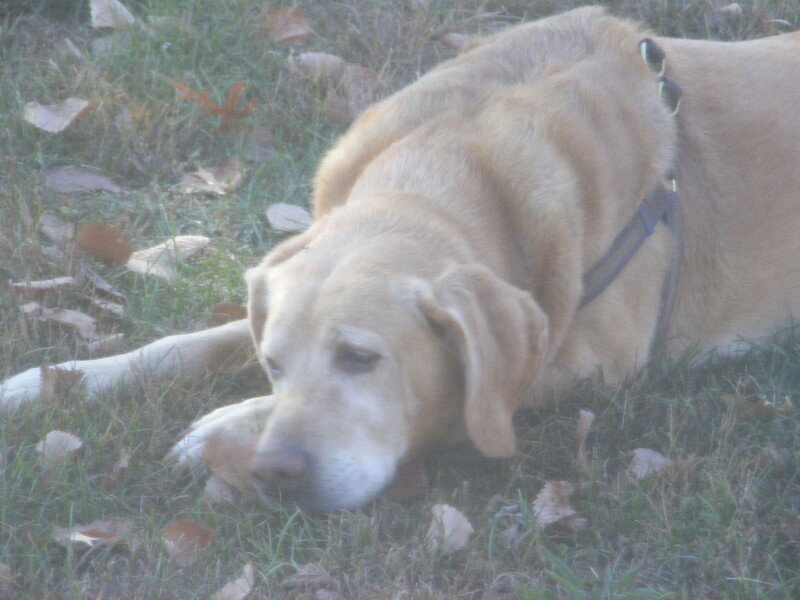 At around 12 years old (nobody knows for sure), he has a lot of tooth wear and his gums are quite sensitive. He refuses the hide treats as they are too hard for him. 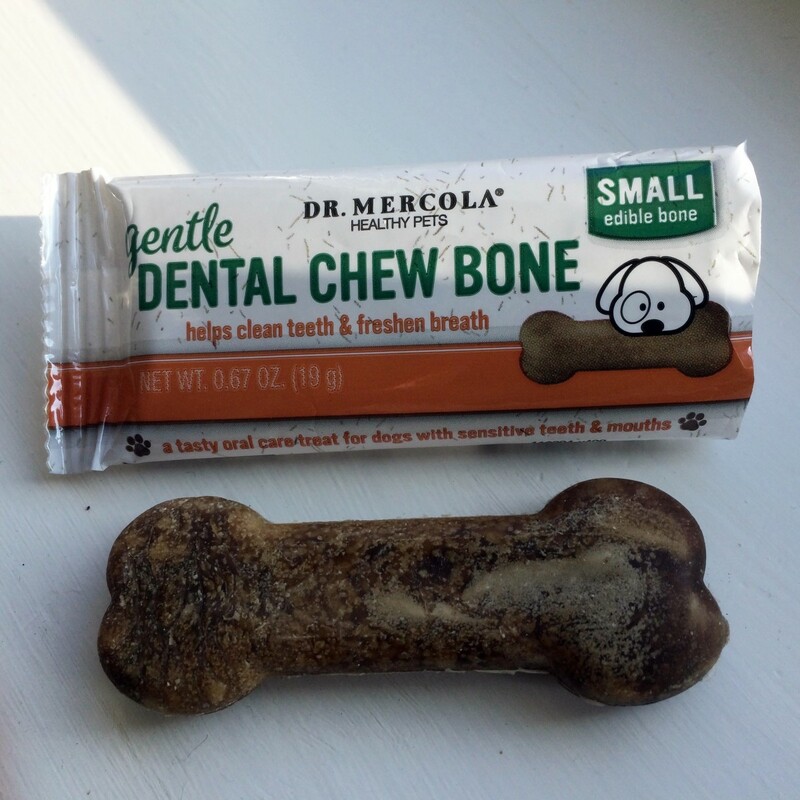 After doing some research, I found these Dr Mercola Dental Bone Chews for dogs which come in a 'regular' and a 'gentle' formulation. They also come in two sizes, small for dogs from 5-25 lbs and large for dogs over this size. Safe to say that Thomas really likes them. I chose the 'gentle' formulation for Tommy and I am happy feeding them because, they contain USDA certified organic brown rice as the prime ingredient and have natural abrasives to gently clean the teeth during chewing. The flavor is obviously to Tommy's liking and it improves his breath too. There are no artificial colors or flavors and no animal derived ingredients either. In the UK, I buy these from a very helpful online company called Healthful Pets because of their great customer service and very good price. 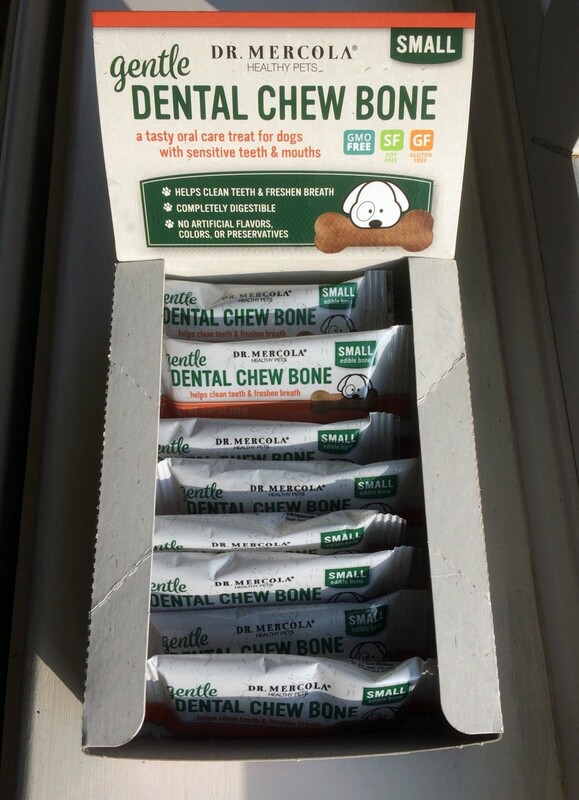 In the US, the Dr Mercola Gentle Dental Chew Bones are available in packs of 12 at a very good price from Amazon. 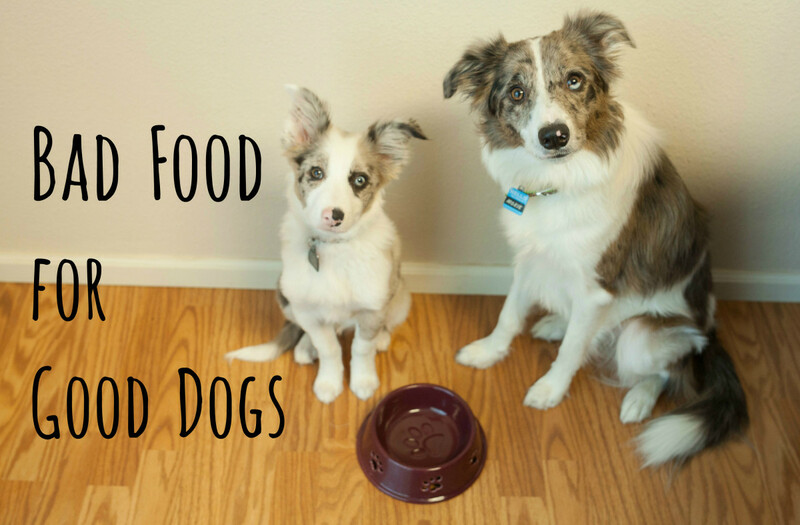 Do You Give Your Dog Rawhide Treats? It seems that the answer to our original question "is rawhide bad for dogs? ", is "not necessarily"! Unfortunately, the answer to our question "is rawhide safe for dogs? ", is pretty much the same. My conclusion is that you need to know your dog, his eating habits and his temperament. 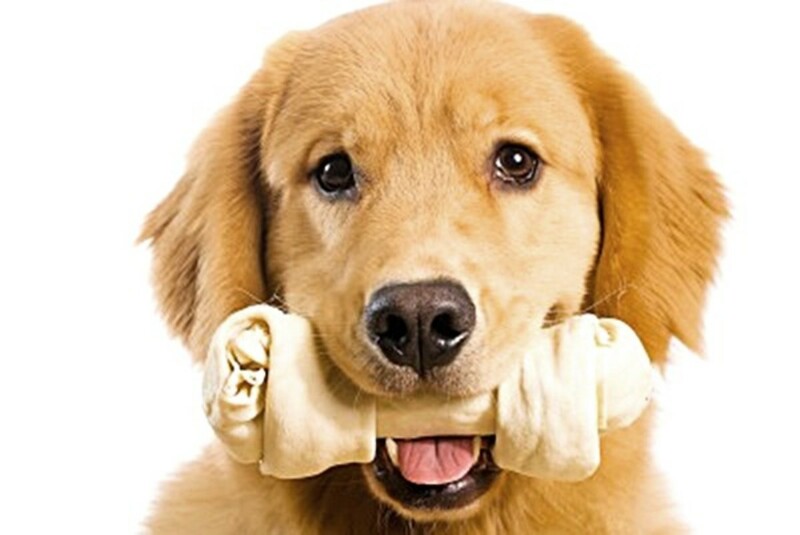 If he is a quiet chewer rather than a "gorger" and you choose a good quality rawhide product, made without chemicals and prepared so that it makes a stronger and safer chew - and that you take the precautions outlined above, your dog may very well NEVER have a problem with this type of chew. 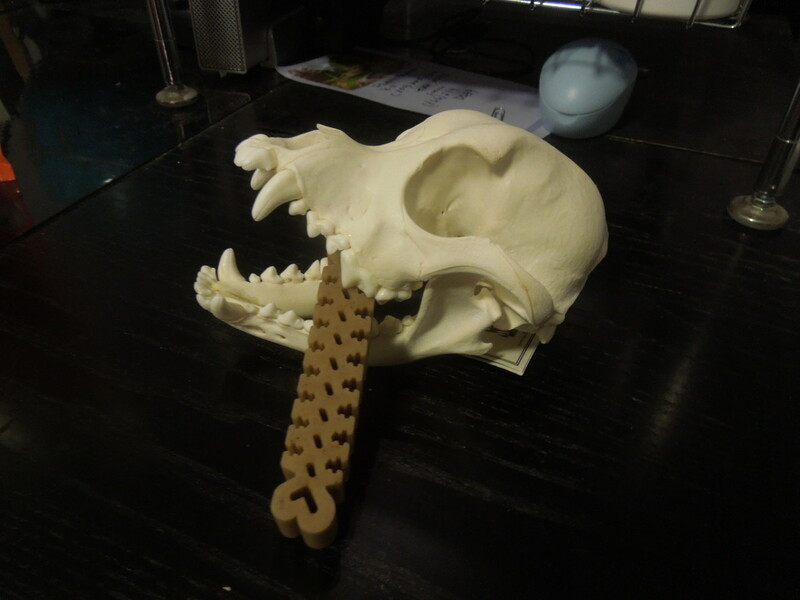 For those of us who have concerns, or for those dogs whose sensitive teeth and gums make rawhide impractical, there are safer alternatives such as the gentle dental chews bones I recommend above. If in doubt, ask your vet for a recommendation based on his knowledge of your dog's breed, type and temperament and any problem cases he has treated arising from dog chews. Are Human or Online Non-Prescription Antibiotics Safe for Dogs? Hi, thank you for your comment. No, I have not investigated this aspect but having read about the bleaching chemicals and the process of manufacture of these chews, my dog now gets one very rarely indeed - although, as you say, nothing else quite makes the grade! My concerns are regarding the chemical processes used to make these chews, as they are often manufactured in countries where they are less than scrupulous about what they use. I have heard that the Chinese make a lot of them as a bi-product of the ‘dog fur’ industry where the leftovers from fake ugg boots and other fur products are used for these chews. Given that we don’t regulate animal feed from outside of the EU, I guess it is likely to be true. Did you do any research on that at all? I’d be interested to know your findings, as my dog used to love her chews and nothing else quite makes the grade as far as she is concerned. Thanks so much for your comment Bob - you make an interesting point and certainly, apart from that one time when my dog dug up the chew all covered in green slime and ate the majority of it before I could get it away from him (goodness he was sick! ), our dogs have never been ill as a result of eating 'used' chews! Thorough, well written hub, Alison! I owned a feed and grain store and, in my experience, rawhide chews were the most popular chew toys over the years. Of course, we've seen an influx of alternative chew toys and treats come onto the market in recent years, so that may have some impact on rawhide's popularity. I would quibble with one assertion, though. While bacteria can be a concern once the rawhide has been chewed, empirical evidence tends to be to the contrary...similar to the point you make in the sidebar "Is Rawhide Safe For Dogs?" 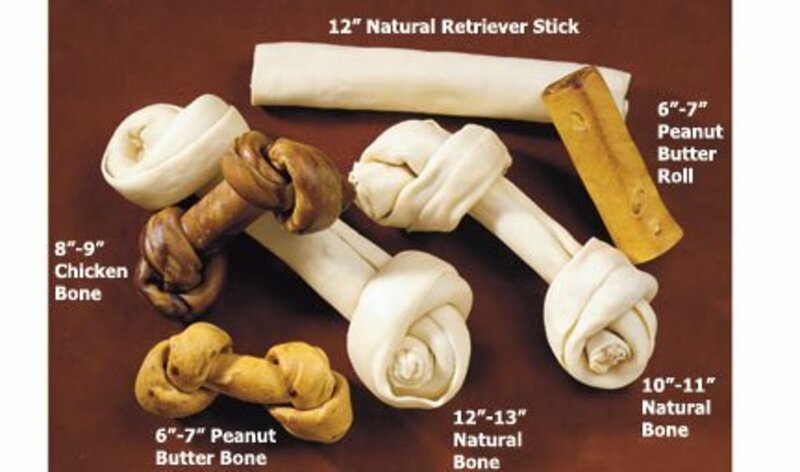 Most rawhide chews aren't consumed in a single session and are just "put away" until the next time, when it's brought out without health consequences to man nor beast. Sort of like when we thaw meat on the kitchen counter. We're told not to for the threat of salmonella, yet it's commonly done without incident. Do some people get sick sometime? Sure, but compared to the volume of risks taken, it's pretty insignificant. Voted up, interesting and useful. Thanks Dreamhowl, I really appreciate your comment. Yes it does seem strange that more people do not know about alternatives to rawhid such as SmartBones - there must be a lot of dogs out there missing out on some really tasty treats! This is a great hub! You covered the pros and cons of rawhide and offered some really healthy alternatives (that I find not many dog owners know about). My store sells SmartBones and I am surprised more people don't purchase them! Voted up. Thanks so much tillsontitan, I really appreciate your comment and the vote up. Duck jerky sounds pretty good to me! This was excellent! You've given good background and apparently done your research. I have a gorger so no rawhide for him but he does get duck jerky! The video was an excellent addition to this hub. I give this five stars.